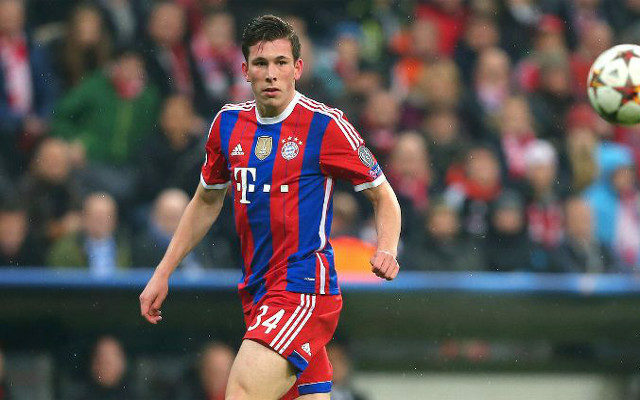 Bayern Munich midfielder Pierre-Emile Hojbjerg has spent the bulk of his last two season on loan spells to various Bundesliga teams as the club tries to give him valuable playing time, but with Southampton poised to offer the Danish midfielder a potential starting job, the German giants may be inclined to sell. According to Sky Sports, Hojbjerg is set to sign with Southampton on a £12.8 million deal this summer. This past year on a loan spell with Schalke 04, Hojbjerg made 13 starts and 23 overall appearances in Bundesliga, recording an assist in a win over Cologne during the season. Last year on a 16-game loan to Augsberg, Hojbjerg scored two goals – his first ever in Bundealiga. Southampton have already seen their starting midfield from last year effectively gutted after the sales of Sadio Mane and Victor Wanyama to Liverpool and Tottenham Hotspur respectively. Thus far their only big midfield acquisition has been former Norwich City midfielder Nathan Redmond.